Much of our interaction and work with partner schools involves conducting student and educator research focused on how to improve student engagement, teaching practice, and ultimately create school-wide change. This commitment to middle level research is only possible with the help of our research collaborators. 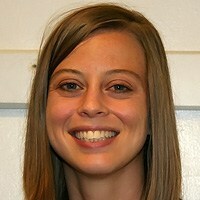 Carmen Petrick Smith is an Assistant Professor of Mathematics Education at the University of Vermont. She received her Ph.D. in Mathematics Education from the University of Texas at Austin where she studied the effects of embodied actions on learning geometry. Her research interests center on embodied cognition, games for learning, and STEM education. She is also a former high school mathematics teacher. In addition to her work in education, she can solve a Rubik’s cube, is a former Guinness World Record holder for dancing the Thriller, and won the 2008 O. Henry Pun-Off World Championships. 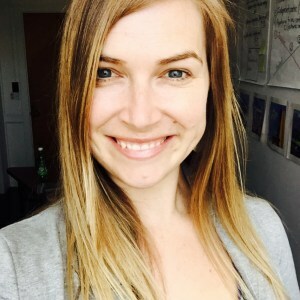 Jessica DeMink-Carthew is an Assistant Professor in Middle Grades and Elementary Education at the University of Vermont. She is also a Senior Research Associate with the Tarrant Institute for Innovative Education. Her research centers on supporting student teachers and practicing teachers in experimenting with innovative teaching practices such as personalized learning, proficiency-based learning, and social justice education. She is especially interested in teaching approaches that aim to engage middle grades students as co-designers of learning experiences. Jessica has taught in Michigan, Maryland, France and Hawaii and tries to maintain the aloha life by playing the ukulele every chance she gets.